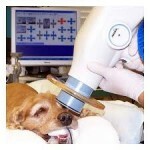 Dental x-rays are a really useful way of seeing damage done below the gumline. We all know that when you go to a dentist you have some x-rays taken, especially if there is a problem. Why should this be any different with our pets? Here in Briarhill we have just gotten a dental x-ray machine to improve the dental care of all our patients! All of these diseases cause pain for your pet and I’m sure everyone knows just how sore a toothache can be!! 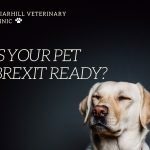 When a pet comes to Briarhill for a dental they are always placed under full general anaesthetic as this is the safest way to perform the procedure. X-rays of their teeth can easily be taken during this anaesthetic before the actual dental commences. The x-rays are taken by placing a small plate in your pets mouth and then using an x-ray machine to take a series of shots. 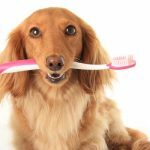 This way we can see all of your pets teeth before making any decisions! 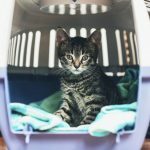 By using dental x-rays we can plan the best treatment for your pet and also monitor your pets teeth health over their lives. It is very safe, completely painless and non-invasive! 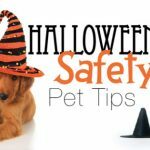 Halloween - it doesn't have to be scary!